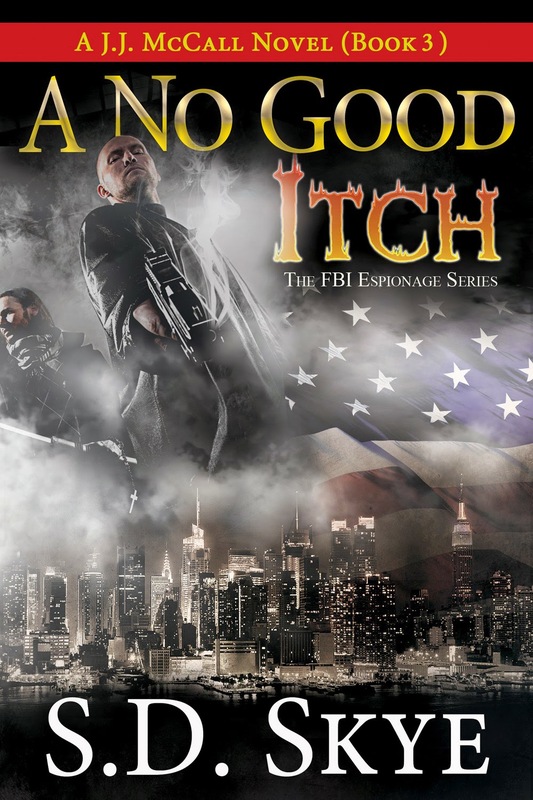 Writing the J.J. McCall series has been both exciting, exhilarating, and a learning process. As I take this moment to bask in the glow of my awesomeness [LOL here], I thought I would share some of the lessons I've learned over the past five years. Lesson 1: Work ethic (often) trumps talent. I can write anything I want on any topic I want if I work hard enough to do it. That was a big lesson for me with A No Good Itch. I wrote COMPLETELY out of my comfort zone. I wrote in “voices” I didn't know I had in me. I wrote a story that exceeds the limits of my small internal universe. I was scared and intimidated by the subject matter--I mean who in their right mind would try to write an Italian Mafia story inside of a Spy Thriller??? The biggest lesson I've learned? If you put in enough effort, your talent will eventually rise to meet you at the level of your work ethic. Lesson 2: Writing is hard, hard work--but it doesn't feel that way (unless you're editing). If you want to publish high-quality stories, writing is freaking HARD ! OMG. I mean, this is long, hard, arduous, solitary work. It's really hard. So then...why do I love it so? I dunno. Insanity? Or maybe...insanity? Who can say, really? But what I do know is that no matter how hard the work is, I love every minute of it (except for editing. I could do without editing). Lesson 3: Outlines are not the enemy. I used to be a diehard pantser. Arsty fartsy. I'd gotten the inane idea that I had to "receive" the story like the Holy Spirit, in the midst of the process, in order to feel like my work was authentic, unforced, organic. Outlines only limit you as much as you allow them to. I allow new twists and turns and the unexpected and give myself permission to ignore the outline. The GREAT thing about outlines is that they keep you productive during times when your Muse goes on weeks- or days-long benders. Outlines give you a "next" until your creativity kicks back in. I'm not one of those people who doesn't feel like they don't need help or that there's no tool that can help me make the literary magic I make. On the contrary, I've blown hundreds of dollars this year on trying to find ways to make this hard work easier. And there are a few tools that I HIGHLY recommend and that no author should be without. Upon hearing of my tool usage, an author friend asked me "How do you afford them?" And my response to said author was, "How can you afford NOT to use them?" Anything that gets me closer to a better book is well worth the investment--I don't care how many readers I have. If I have ONE reader, I want that one reader to have a great experience in my books. Okay...so here's the tool list. Scrivener -- I mostly use this for the storyboard feature. I've used it for 5 out of the 7 books I've written and I can't really do without it now. I'd have used it on all 7 if I had known about it sooner. Autocrit -- It's an editing software. The BEST. I've used this on EVERY single book I've published. It helps you see things in your own writing that you would never pick up on. I use the "combo report" faithfully and it 100% of the time makes my work better. ProWriting Aid -- Similar to AutoCrit but not quite as detailed in what it picks up IMHO. With that said it's cheaper than AutoCrit. So, if you need something more budget-friendly, this is the way to go and it will get your work further along than if you didn't use any editing tool at all. ALSO--this has an acronym report and "quotation mark" report (to catch open quotes) which I've never seen on AutoCrit. So, it does have some nice feature. Grammarly -- Man, this is a godsend. It really is. This captures grammatical issues that neither AutoCrit nor ProWriting Aid picks up. Even after professional editing, this picks up little nits that your editor may not (they are only human). This is one you can't afford NOT to have. MasterWriter -- This is a fancy thesaurus, but it's great for helping you find synonyms when nuance is important. It's got a lot of great features, but I mostly use the thesaurus features. It's easy to use and definitely more convenient than digging through the Roget's. Thanks so much for hosting and giving me the opportunity to share my ideas about writing. Guests, please feel free to ask away with your questions. I'll be here throughout the day and week so check back. And please don't forget to enter to win the Kindle and GC!! It's a really informative post--thanks! Enjoyed reading the guest post today. Lots of good points if one aspires to be an author...which I don't. I really enjoyed the 4 Lessons I've Learned about Writing...so far...! It was filled with information about S. D. Skye's writing process.